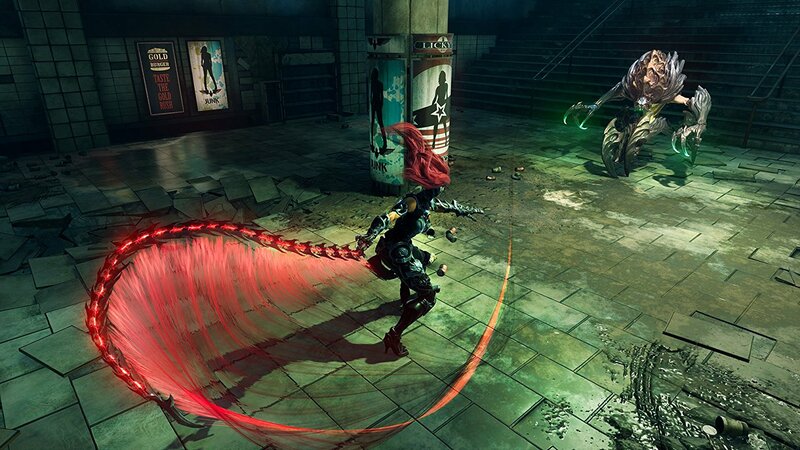 In Darksiders III, you’ll play as Fury, a whip-wielding mage going up against the Seven Deadly Sins. But unlike previous installments of Darksiders, these boss battles aren’t linear. Instead, you decide which sin you take on at various points in the story. Each boss has their own unique style, presence, and challenges inspired by the sin they represent. For instance, you can expect Sloth to stand back as an army of monsters does his bidding. Meanwhile, he’ll casually toss globs of poison your way. Overall, in Darksiders III, you can expect “more meaningful battles and fewer mass encounters,” as explained by THQ Nordic’s executive producer, Reinhard Pollice. As you progress through the game, Fury does more than just whip enemies into shape. We saw her swing a hammer and quickly scale walls in her Force Hollow form. That’s just one of the four different forms Fury can take on as you progress through the story. Considering that some of these forms can open up traversal options, it’ll be interesting to see what role backtracking will play in Darksiders III. It will also be fun to see the order players tend to gravitate toward, when it comes to taking on boss battles. See whether or not these adjustments enhance the Darksiders experience when Darksiders III arrives on the PlayStation 4, Xbox One, and PC on November 27, 2018.